That aside, each wax melt is hand poured using 100% pure natural soy wax, high quality essential oils and fragrance oils which are free from parabens and phlalates. Each wax melt is 10g and one wax melt has a burn time of between 10-60 hours, depending on the scent and your choice of wax warmer. There is a whopping 350 scents to choose from so you can be certain there will be at least one(or a few) that are to your taste. There are a number of categories of scents to choose from so you can narrow down the scents that you like, from florals to sweet shop and there are even very popular perfume scents too! They have my favourite Black Opium fragrance scent(which I need in my life ASAP). As I mentioned before, I have a selection of 12 different scented wax melts- Coastal Breeze, Parisienne Spring, Awaken, Freesia, Bluebell, Fresh Linen, Air Fresh, Honeysuckle, Mimosa, Daffodil, Pink Grapefruit and Vanilla, and Magnolia Cherry. I do have a few firm favourites(which I most definitely will be purchasing) and they are the Pink Grapefruit and Vanilla and Magnolia Cherry scents. They are strong, fruity and urgh, just divine. The scent throw of the wax melts are incredible. I keep my wax warmer in one room and the smell fills the entire house, its insane, but I love that. I have to admit, I haven't even lit a single Yankee Candle or any other candle since I received these wax melts. I've actually found that they are so much better than other candle brands I've tried(yep, I'm talking about you Yankee!) in terms of how long they burn for and the scent throw, but they are at a much affordable price. You can purchase a variety of different scents to suit your budget- 4 wax melts for £6, 9 for £10, 12 for £12 and so on. The most expensive of the bunch is a bundle of 45 for £30. Well I say expensive, but ONE Yankee Candle is £18, so who's the winner here? Pick n Melt obviously. 45 for £30? I wouldn't say no. I certainly need to place an order soon. Oh, and did I tell you they have free delivery with every order to? WINNINGGG. 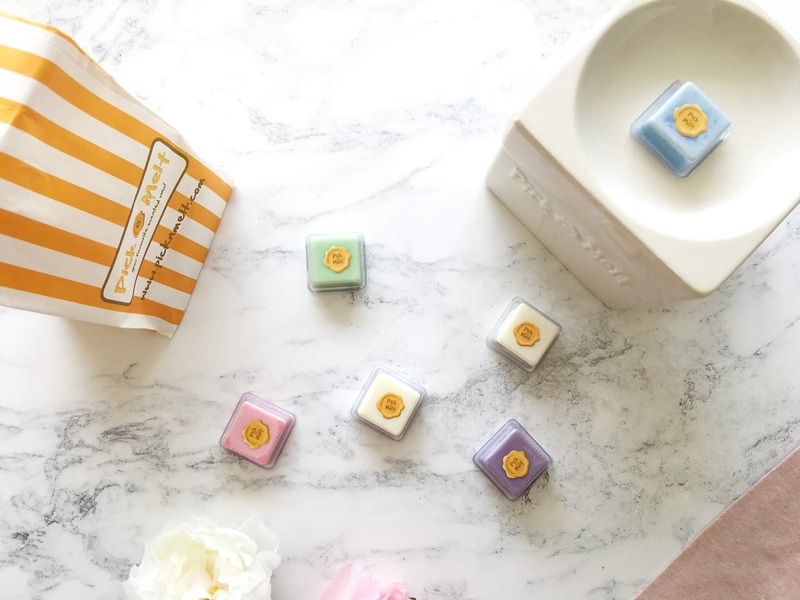 Pick n Melt also sell Wax Melt Clams, Wax Melt Packages, Scented Candles, Natural Soy Tea Lights and Wax Warmers too, but as well as that they also have their very own 'Pick n Post' Subscription Service too. What a fab idea! Sign me up! If you're interested in purchasing a few yourself, take a look at the full selection of Pick n Mix Melts here. 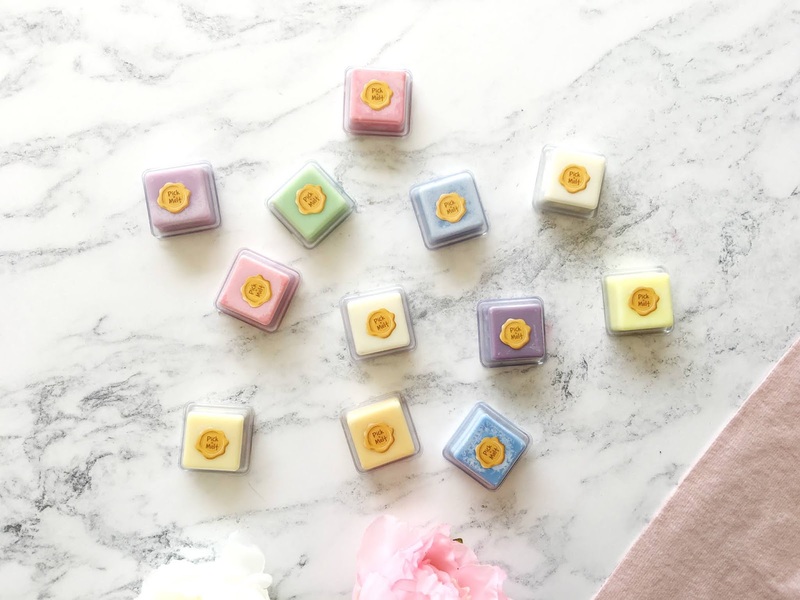 Have you tried Wax Melts before?